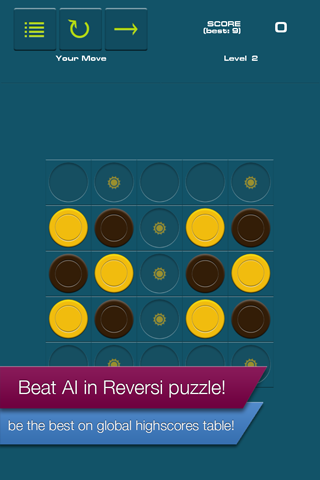 You like Reversi (Othello) but its not so challenging anymore? 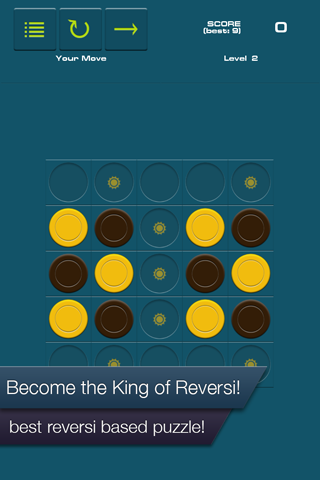 Reversi King is for you! 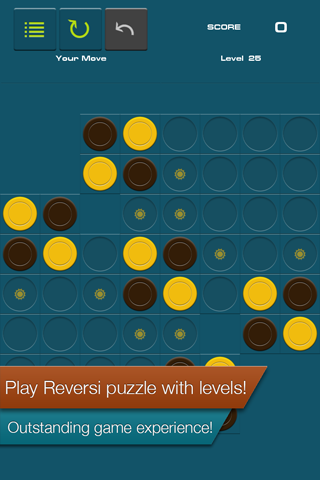 Lots of exciting Reversi puzzles. Every new level is a new challenge! 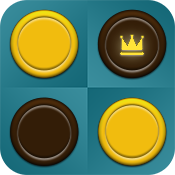 More levels are coming soon. 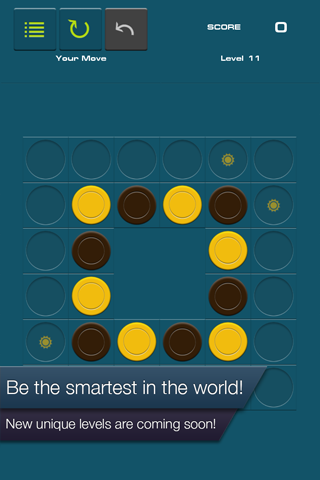 Try to overcome other Reversi (Othello) adepts and become a World’s known King of Reversi!